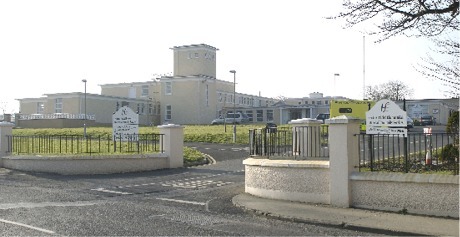 DONEGAL TDs have welcomed a multi-million funding boost for community hospitals including Buncrana and Carn. However, they have highlighted concerns over the potential closure of nursing units in Lifford, Ramelton and Stranorlar. Almost €30m has been allocated to Donegal public nursing homes as part of the Capital Plan 2016 - 2022. Buncrana Community Nursing Unit is to get €2.97m; Carndonagh Community Hospital €2.6m; Killybegs, €440,000; Falcarragh Community Hospital, €2.82m; Dungloe Community Hospital, €2.61m and Ballyshanon, €17.4m. Fianna Fáil TD Charlie McConalogue said: "While I welcome the money allocated under the Health Capital Plan for services in Carndonagh, Buncrana and Letterkenny, I am seriously concerned about the future for the community hospitals in Stranorlar, Lifford and Ramelton. "The plan, published by Minister Kathleen Lynch, states that these hospitals will be 'replaced' by Letterkenny and no additional funding has been allocated to them. "Does this mean that residents will be transferred out of their own communities and forced to take a bed in a facility in Letterkenny?" he asked. Meanwhile, Independent deputy, Thomas Pringle said: "The population of over 65s is expected to double in less than 30 years which means closing smaller units now will only leave us with the same capacity issues in the future. "This would essentially mean the Government is centralising nursing home care by closing down satellite centres to make way for a bigger one in an urban area. "Too many questions need answering before this Government can begin to address the current crisis in our public nursing home bed stock," he said.